Why is gold a good investment? Fiat currency has become unstable. Although governments have declared it a legal tender, it is not backed by a physical commodity. Unlike commodity money that is backed by physical goods such as gold bars or silver, fiat money is not a fixed resource. Certain reasons made the public lose faith in their country’s fiat currency. Take, for example, what happened in Zimbabwe in the 1990s when hyperinflation ruined its own currency. Under the leadership of former President Robert Gabriel Mugabe, the country’s economic conditions were deteriorating. To try to address the situation, Mugabe started a series of land reform programs. Unfortunately, the farms were offered to people who lack experience in agriculture, causing farms to fail, which in turn affected the country’s export revenue. As the country’s economy continued to fail, the value of the Zimbabwean dollar started to crumble. The time came for the currency to be scrapped and eventually replaced by the US dollar in 2009. Kinesis cryptocurrency, on the other hand, uses gold as the traditional store of value. It is making gold a reliable global currency once again. Also, gold trading has evolved to become very user-friendly. 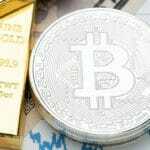 Crypto technology will pave way for gold trading to go mainstream. In fact, many people around the world are now using cryptocurrency as a digital medium of exchange. The market for Cryptocurrencies has rapidly grown in popularity so much so that in 2017 alone, the total value of cryptocurrencies increased by more than 3300% with a worth of $600 billion. 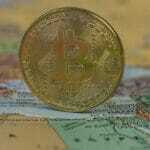 A certain survey even revealed that 3 out of 4 people already know about the use of these digital currencies. This spread of popularity is remarkably groundbreaking. The success cryptocurrencies have seen recently only means that jumping on the bandwagon is a smart decision, especially if you do online transactions often, and don’t like waiting on the bank to clear funds. With regards to security, you cannot transfer a cryptocurrency without user permission. This means that there is no risk of fraud. It is also impossible for a third party to manipulate your transactions. You will have complete control of your accounts that are hosted on a centralised technology–the blockchain. Financial safety is one of the main reasons why some banks around the world are adopting the technology. To learn more about why you should buy gold, use cryptocurrencies, and how to do it online, keep reading. Fiat currencies lose their value through the years, either gradually or in a snap. For instance, when people favour a better choice of currency than existing fiat money, their trust in the latter will be lost; inevitably leading to its loss of value as well. Nowadays, the appealing gold-backed property of certain cryptocurrencies acts as better money for people, thus they lose trust in the existing official fiat money in their country. Such fiat currencies include the US dollar, which is one of the biggest currencies in the world. Since the deregulation of banks effectively separated gold from the US dollar, US banks have been printing more and more fiat money that they could lend to individuals, organisations, and even governments. Seeing that the US dollar is a fiat currency lent by banks to the government itself, one could easily foresee its downfall when banks start pulling back their cash with huge interest rates. When the US dollar falls, all other currencies pegged on it will also fall. Thus, people, governments, and other entities want to find a stable currency that won’t feel the impact of a domino effect. Thus, the astute investor and other entities consider it smart to purchase gold bullion, including in gold-backed currencies. A currency’s value will be backed by a stable asset, like gold, silver, and other precious metals, unlike common fiat currencies that lack guarantees. It could help the economy to achieve excellent stability and self-regulating capacity. The government could print as much money as the amount of its gold reserve, which could be expanded by earning more precious metals. It could discourage government budgeting problems, debts, and even inflation. Encourages a nation to be more productive, which could help it earn more gold for its reserve. Overall, you could see that gold standard could seriously help a country in many ways, especially in stabilising its economy while solving various monetary problems. When fiat money such as the US dollar collapses, it could help people, governments, or even a nation to remain standing still. A handful of experts know such facts about gold standard currencies, thus various ways are being developed regarding how to invest in silver and gold. One of these methods is using the blockchain, as gold-standard cryptocurrencies get more and more popular throughout the world. There’s no denying that gold is indeed a valuable asset with the price of gold, or rather it’s value holding its own and increasing regularly over the centuries. 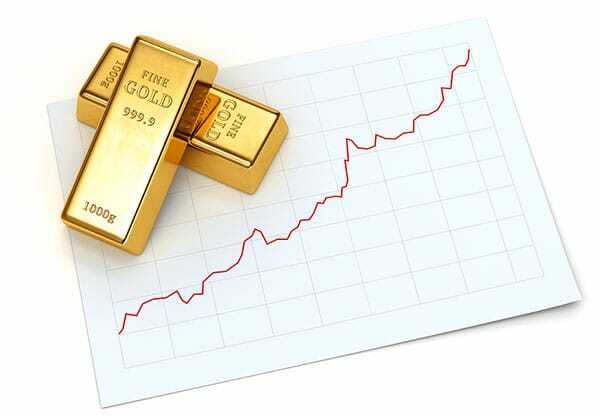 It slowly, yet steadily, increased its value through time, regardless of more or fewer countries using it as an official currency or not, gold prices have always risen. It’s repeatedly proven throughout history that good money always has better economic power than fiat money, and gold is undoubtedly is the best asset to back any gold-standard currency. This pushes people to find ways on how to invest in gold and utilise it for day-to-day transactions. The problem is, it’s not easy to acquire, store, and move gold. All processes involving real gold are expensive in nature, pushing innovators to find new platforms where gold can move efficiently as a currency. This is where the blockchain technology comes into the picture. The blockchain is the platform that has contributed to the boom of cryptocurrencies, as it effectively facilitates various transactions and storage of cryptos. All the same, the top cryptocurrencies are also fiat coins, which leads to the problem of notorious volatility and instability. The blockchain is almost a perfect platform, but common digital assets are quite problematic in many ways. Therefore, innovators came up with the thought of transforming fiat cryptos into gold-standard currencies, which gave rise to gold-backed cryptocurrencies such as the Kinesis money to run on the blockchain. Such kind of crypto has real gold backing it up, with a one-is-to-one ratio of the number of crypto coins to the amount of gold in the reserve. 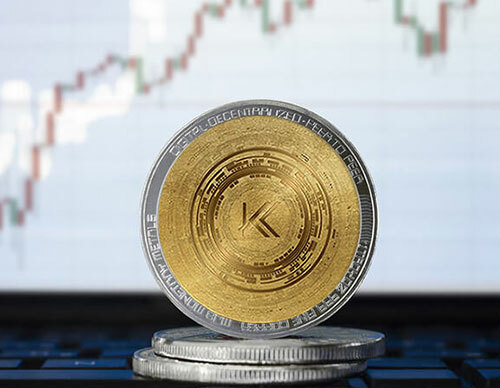 Say, with the KAU crypto coin of Kinesis, 1 KAU is equal to 1 gram of gold in the safe reserve of the company. Such a concept made it far easier for gold to hop on the virtual stream, thus making it easier to use in various transactions. Considering that this is blockchain we’re talking about, you can make sure that gold backed cryptos could provide stellar performance without compromising security, thus keeping cryptos from being lost. As a result, the problems of using gold as an efficient currency finally gained a straightforward solution. With the use of the blockchain, gold-backed cryptos could efficiently run on lesser expenses and people and entities can easily store and move gold. People just have to learn how to invest in gold and silver, so they could start reaping the benefits of gold standard currencies through the blockchain. 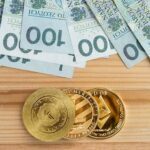 Of course, the choice of investing in gold mining companies and buying gold and some other traditional methods are still there, but the stablecoins or gold-backed cryptos are currently the best options. Knowing about the unreliable angle of fiat currencies could push you to look for ways on how to invest in gold and silver. Of course, you wouldn’t want to be badly affected with the collapse of fiat money that you use, and the best way to protect yourself is to have enough gold and silver to shield you from a bitter financial downfall. The first idea you would probably think about is to buy sufficient gold and silver, which you can keep in your own safe reserve. Say, you’re having problems with your fiat currency and you have enough gold and silver with you, you can simply sell them up for enough cash to cushion you. 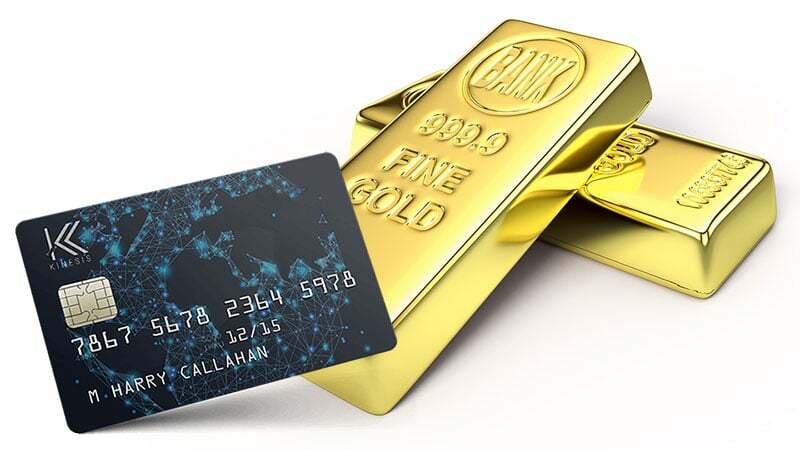 This could also be very beneficial when a gold standard currency becomes available for you since unlike commodities, you can easily trade your precious metals for it. Where are you going to store them? Do you have a secure vault in your home or somewhere more difficult to find by thieves? What will you use the gold for? Who will accept your gold as money? Can you afford to pay premiums and taxes? Don’t you think you’re better off with gold jewellery than gold bullion? If, in the end, of your due diligence you still want to pursue investing in physical gold, start searching for a reliable dealer who sells bullion and ingots at the right gold price. Then, choose from a range of bullion. Coins are the most common form of bullion that look like actual coins and are used as currency. 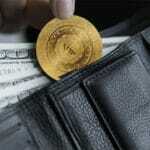 There is a limited production of gold coins, however, making them rare and expensive. Rounds may look like coins but they lack circular value. The size of the round bullion, however, will impact its value inversely since it is based on precious metal content. So, the smaller the rounds are, the higher their premium rates over spot. Bars are popular among investors because of their low premium over spot, similar to rounds. They are also easier to store, stock, and organise. Best purchased in bulk. Another way to invest in gold or silver is to put your investment in gold mining companies. You just have to choose the best firm where you can trust your investment to, so you can have favourable returns or have your own precious metals. Aside from the traditional ways of investing, you can also to invest in stablecoins for significant perks. Stablecoins are cryptocurrencies that are backed by real assets, such as real currencies and precious metals. An example in the crypto space is the USDT coin. Although stablecoins backed by currencies are more popular, there are some that are backed by precious metals, like gold and silver. Thinking of cryptos running on the blockchain, this goes without saying that stablecoins let gold and silver run on the blockchain as well. As long as you’d invest in the best stablecoins available, you can expect to have gold and silver as an efficient currency without problems. You just have to look for the right stablecoin that could promise a good return on your investment, with Kinesis as one of the best options. After which, you’ll have a one-is-to-one ratio of crypto coin to real precious metal in a safe reserve. Not only that you can rely on it as a good investment, but you can also use your gold for regular transactions. And if the fiat currency you’re currently using falls, you can be sure that gold-backed stablecoins will stay afloat. Looking to invest in gold? It will prove one of your best ideas yet. However, investing in stablecoins backed by precious metals is an even better move. This can help you a lot to have a secure investment and experience using gold and silver efficiently for regular daily transactions. Investors will receive KAU and KAG upon investing, thus ensuring they own a certain amount of precious metals under their account. Investing in Kinesis can help you have all the gold and silver that you can have, which could be helpful especially when you use them on usual transactions. Compared with physical gold and silver and with cryptocurrency, Kinesis combines the best and eliminates the worst of both assets. Through Kinesis money, you’re guaranteed a safe, high-yielding investment in precious metals. So how much are you planning to invest in? To have cryptos backed by gold from Kinesis, you just have to communicate with them and express your interest. Next, indicate how much you want to invest, and you can open an account with your share of gold. You’ll receive a one-is-to-one ratio of 1 gm of gold to 1 KAU, which you can use to pay for products and services or use for crypto trading among others. You don’t have to worry because your gold is safe in a third-party vault, and you can easily get the physical precious metal any time you want. Aside from gold, you can also invest in silver coins from Kinesis. This will come in the form of KAG, which is equal to 10 gms of silver for each 1 KAG. Express your interest to invest in silver with Kinesis and buy the silver-backed cryptocurrency. Just like the KAU, you can use the KAG for a variety of transactions. Whether you invest in KAU or KAG, you get the benefit of spending Kinesis currencies in the real world. Come May this year, the currencies will be minted and can be used as real money. Investors also have the option to apply for a Kinesis Debit Card that will enable cardholders to spend the Kinesis currencies they own where Visa or Mastercard is accepted. The gold and silver-based currencies are instantly converted to fiat and other cryptos. Unlike real-world credit cards, however, transactions fees are minimal and the transaction process is secure and fast. Before you can buy Kinesis currencies, you must first have your Ethereum ERC20-compatible eWallet ready. Kinesis recommends using Metamask, the most popular eWallet available, but you do have the option to choose other ERC20-compliant eWallets. These include MyEtherWallet, Mist, Parity, imToken, Trust, and Cipher. Make sure to thoroughly research each option to find the best one for yourself. It is very important to verify the credibility, security, and functionality of a third-party eWallet, as Kinesis does not take any responsibility when you experience problems from using it. Just to be sure, you should not use a cryptocurrency exchange address or eWallet to apply for Kinesis KVT, as such an address/eWallet generally does not support ERC20 tokens. And KVT is only supported by an eWallet that is ERC20-compatible. Aside from knowing how to invest in Kinesis, check out other features that the platform provides, including tips on how to grow your stablecoin stocks, effectively increasing the amount of gold and silver in your account. Speaking of value, there is virtually no difference between physical gold and crypto gold. Both of them have proven to be helpful to investors and have been used as speculative investment and a safe-haven asset at certain points. But in certain aspects, physical and crypto gold have important differences from each other. These include something as basic as the very nature of the assets themselves. Physical gold is tangible, but crypto gold is digital. For more than 2,000 years, gold has been harnessed as a form of currency. And, as such, its supply increases as miners retrieve more of it from the ground. Once the precious metal is mined from the ground, it is mostly used to create precious goods, such as jewelry. But when it comes to investing in gold, you can purchase it in various forms. For example, it can come in bullion that you can buy. And, you can gain exposure to gold price movements through different financial instruments, like gold futures and exchange-traded funds. Frequently, physical gold has generated significant attention as a main safe-haven asset, in the same way that many investors look to real estate..
On the other hand, crypto gold is a digital currency. Like physical gold, it is also created through mining. The only difference is that the process is entirely electronic. In essence, crypto gold miners determine transactions and aggregate these transactions into blocks. In turn, these blocks make up the blockchain of the digital currency. Every time cryptocurrency miners complete a block, new crypto coins are released. Under the protocol that governs cryptocurrencies, new coins are released approximately about every 10 minutes. People will then use these crypto coins to engage in transactions or make investments online. In the world of cryptocurrency trading, crypto gold is backed by physical gold through Allocated Bullion Exchange. While both have certain differences, they are generally the same in a way that they are equally satisfying and fulfilling to possess. Cryptocurrencies that are backed by gold are completely different from other cryptocurrencies that suffer from the risky speculative investments. If you are thinking to invest in gold, you will be able to benefit significantly from it by first comparing and contrasting physical gold and crypto gold. It is important to be well-informed, after all. One of the most popular instruments used to make payments using money these days as an alternative to cash is the debit card. Compared to the credit card, the debit card is more widely used, as it is more convenient to use for everyday purchases. Now, Kinesis aims to take things a notch up by offering the Kinesis Debit Card. 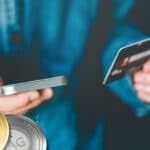 This unique type of debit card relies on digital tokens for any type of transaction that you will do. Whether you want to order that favourite steak in a restaurant or just want to enjoy coffee at Starbucks, you can use it for payment. In essence, the Kinesis Debit Card will enable you, as Kinesis currency holder, to spend your gold or silver-backed cryptocurrencies with ease anywhere that accepts Mastercard or Visa. 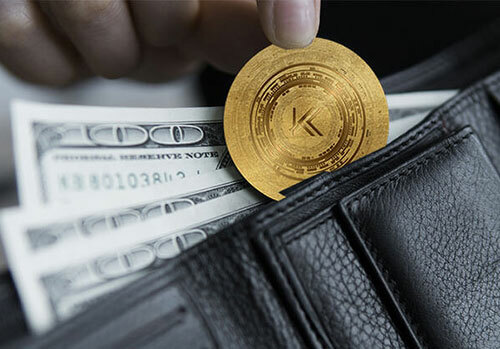 The Kinesis Debit Card allows you to make the instant conversion of KAU and KAG into fiat currency and spend it on any purchases that you will make anywhere in the world. Unlike other cryptocurrencies, Kinesis transactions will only take 2 to 3 seconds with their bespoke network. The payment process using the Kinesis Debit Card is done dynamically through the connection between the card and mobile eWallet, where you store your crypto coins. You can enjoy more savings from using the Kinesis Debit card. Unlike other debit and credit cards, moving funds to and from your mobile eWallet into and out checking or savings account will only cost $1.00 per transaction. Moving money from your eWallet to another mobile wallet is free. There is even no merchant processing fees. As for transferring from Kinesis to mobile eWallet or the debit card, it will only cost you 1% of the transaction amount. So, are you wondering how your money will be deducted from your account? Well, the process is made possible on the Kinesis Financial Network (KFN), which is basically a mobile banking system created by Kinesis to connect to Mastercard and Visa. With the Kinesis Debit Card, gold and silver are made available in everyday transactions once again. With your eWallet now set up, you are able to purchase Kinesis Velocity Token (KVT) using either Ether or Fiat. If you choose the latter, your transaction is made via Fiat Transfer that, once completed, will be followed by KVT transfer into your eWallet. You should not use a cryptocurrency exchange address or eWallet to apply for Kinesis KVT, as such an address/eWallet generally does not support ERC20 tokens. And, as previously implied, KVT is only supported by an eWallet that is ERC20-compatible. Kinesis will only release up to 300,000 tokens, so you should buy them while they’re still available. Experience the gold standard in digital currency without the security and volatility concerns. © 2019 This website is owned and operated by Kinesis Cayman. All rights reserved.